He has been made from super soft turquoise plush fur, with lovely long tenticles. He has sweet black safety eyes and a soft, black nose. 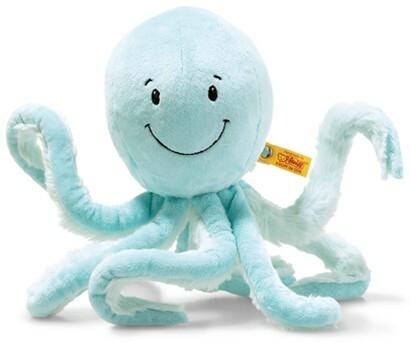 The best part about Ockto is his bean filled bottom, making it easy for him to snuggle up to you and little hands will love to hold onto his tenticles. Will you be taking Ockto home?